Optimism that economic recovery was moving forward and that the investment community was showing interest in the Caribbean again was evident in both the attendance and the presentations at the 16th Annual Caribbean Hotel & Tourism Investment Conference (CHTIC) here as 189 attendees including a half dozen Ministers of Tourism and one Chief Minister (equivalent to a Prime Minister) gathered to discuss how to reinvigorate tourism and hospitality growth in the region. “There is no question that tourism is an export industry. Unfortunately in the Caribbean, tourism is still not treated as an export by many of our member countries. We hear of new policies that taxes not only the private sector, but also our visitors directly. These masquerade under such names as, ‘Airport improvement taxes’, ‘Tourism enhancement fees’ and by far the worst of all, the UK’s Airline Passenger Duty (APD). “Increased taxation is regressive. It will result in less revenue for the hotel and attraction sector. It will also negatively affect our countries’ wider economies due to the significant domestic agricultural and manufacturing linkages that tourism provides. She also noted that in a recent survey, an overwhelming 77% of the lenders questioned said they “do not see government support” for tourism in the Caribbean. Adam Sacks, President of Tourism Economics noted that consumer spending is at all time highs and predicts a 3.6% increase in stopover visitors for an average growth in the Caribbean. Taking a look at what developers, hoteliers and tourism officials can do to turn things around in the destinations and generate more investments, several speakers provided a variety of ideas. Nikolas Eastwick-Field, Principal with efmHospitality, hotel development and management said: “There are three basic considerations when looking at a failing asset. First study why the asset is troubled or failing so as not to make the same mistakes twice. Question whether or not it has legal problems or real estate goals that didn’t happen or is it in the wrong place or a poor market? David Callaghan, Vice President Sales & Service for Interval International said: “Any developer today that does not have a mixed use component is foolish. Developers need to show banks that there is an exit position because no lender today wants a long-term exposure. Building on the momentum achieved in recent years with a growing interest in Caribbean tourism development, CHTIC is staged by two not-for-profit organizations – CHTA and the CTO. CHTA represents the regional hotel and tourism associations and CTO is the public sector tourism body which represents the countries of the region. 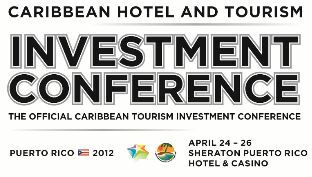 All funds from the conference are reinvested in the region for the benefit of the Caribbean tourism industry. CHTIC was founded by CHTA and CTO in 1997 with the specific objectives of improving the tourism investment and operating climate in the Caribbean, raising awareness of development opportunities and stimulating a continuing flow of equity and loan capital into the region. CHTIC 2012 sponsors include Host sponsors: Puerto Rico Tourism Company and Puerto Rico Hotel & Tourism Association; Patron sponsors:CIBC FirstCaribbean International Bank, Interval International, KPMG andMasterCard; Platinum Sponsor Tourism Development Company (TDC); Gold sponsor: Best Western International; Platinum Media sponsor:Perspective Magazine; Silver Media sponsor: Lodging Hospitality; and Media Supporters sponsors: Caribbean Developer; HSyndicate and Latin America Monitor and Supporter sponsor: American Airlines. For more information, visit http://www.caribbeanhotelandtourism.com. Follow CHTA on Facebookwww.Facebook.com/CaribbeanHotelandTourismAssociation and Twitter www.Twitter.com/CHTAFeeds.